Mechanical vs Membrane Keyboard - Which One Should I Choose? Mechanical vs Membrane Keyboard – Which One Should I Choose? If you’re looking for a new keyboard that will make typing and gaming more exciting and add more feel to it, mechanical keyboards really are a breath of fresh air as opposed to the standard membrane keyboards. 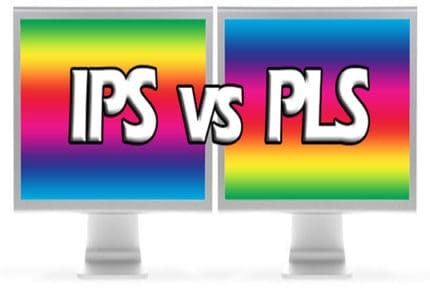 However, not every mechanical keyboard is the same; they differ by the mechanical switches which determine whether the keyboard is more suited for typing, gaming, or both. Finally decided to get rid of your old membrane keyboard with rubber domes and replace it with a new fancy and shiny mechanical keyboard? Then you might be confused with all the different types of mechanical keyboards. Nowadays, you can get a high-quality mechanical keyboard for an affordable price which is why we recommend them over the standard ones. 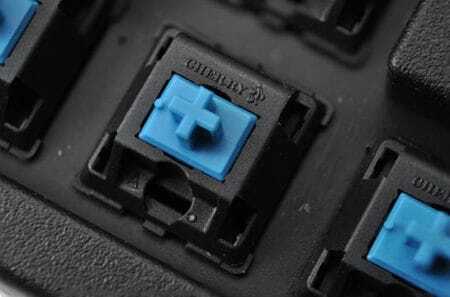 The most important thing when it comes to choosing the best mechanical keyboard is the type of mechanical switches it uses. Some are more suited for gaming which makes them unpractical for typing, others are great for typing but not as good for gaming, and so on. 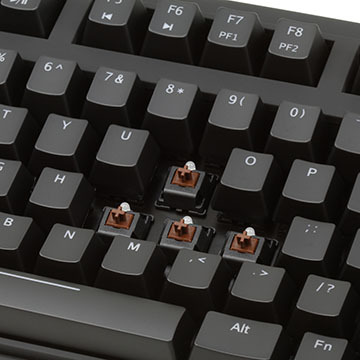 Unlike the standard membrane keyboards with rubber domes that need to be pressed all the way down for the button to be registered, mechanical keyboards have specific switches which allow for quicker actuation, among other things. 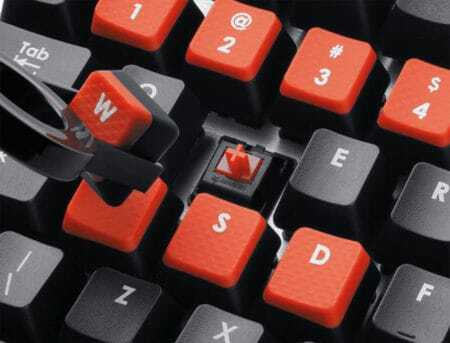 However, some mechanical keyboards require lesser actuation force for the key to being pressed which can make gaming more responsive but also cause you to frequently misspell when typing quickly. The last thing you need to consider when buying a mechanical keyboard is whether it’s clicky. Some keyboards can be very loud which makes them unsuitable for office use. Moreover, some users find the clicky sound satisfying while others cannot stand it. There are many different mechanical keyboard switches and manufacturers, so we’ll break down the most popular ones. The most widespread as well as the most affordable mechanical keyboards feature blue switches. 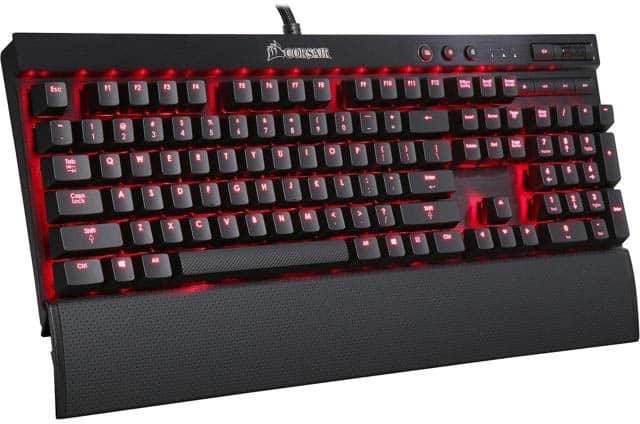 Although their price may be tempting, you should avoid these for gaming as they require heavy actuation force meaning that they are great for typing in general, but they’re not preferable for gaming by most users. Moving on to the Cherry MX Red and Black. These are linear switches meaning that you won’t feel the tactile bump which lets you know the key press has been registered. Instead, the actuation point and the release point are at the same position allowing for instant and rapid feedback – ideal for gaming. The only difference between the two is that the MX Red is lighter than the MX Black. The Cherry MX Speed is also similar, but with shorter actuation distance allowing for the fastest response to your commands. 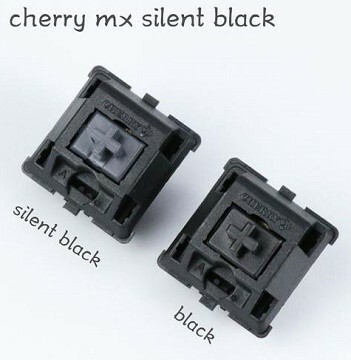 Notice that Razer’s Yellow switch is their variant of the Cherry MX Speed while the Razer Orange and Green correspond to the MX Brown and MX Blue respectively. The downside of these fast linear switches is that, as much as they are good for gaming, they are bad for everything else as they can cause you to misspell while typing quickly. Unless you plan to mostly use your keyboard for gaming, we advise you avoid these as chances are, you aren’t going to like them. If you are looking for a mechanical keyboard for your office, make sure it’s not clicky as it will drive your co-workers mad. We’ve found the MX Brown and MX Black (Silent) to be the most suited for prolonged typing. The Cherry MX Brown, Razer Orange, and Romer-G tactile switches are the perfect middle-ground for most people as they offer balanced performance. The reset and the actuation points are close together while the keys are light allowing for a responsive gameplay as well as a very enjoyable typing experience. 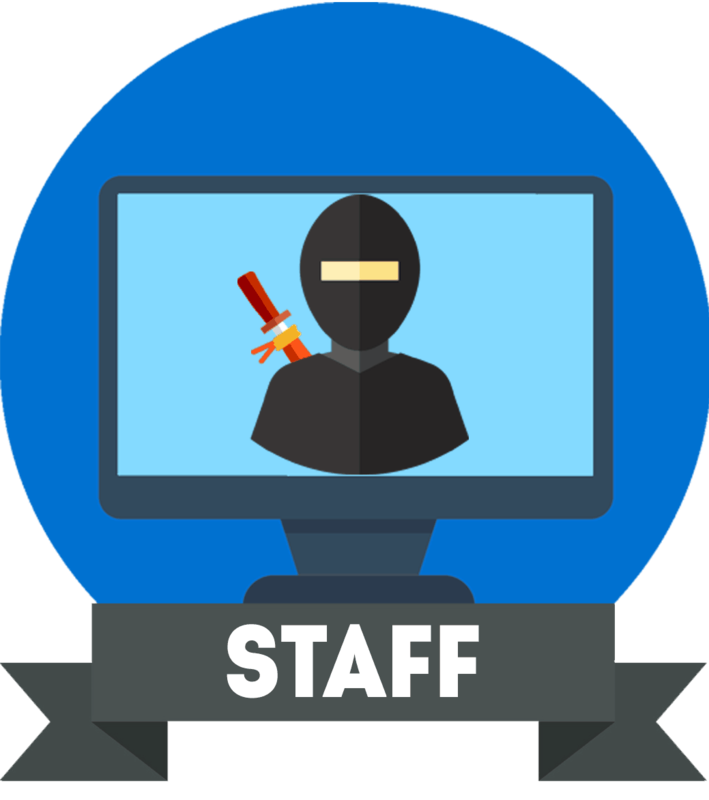 Mechanical keyboards are simply better for gaming and typing in general; plus, they are more durable and versatile as opposed to the standard membrane keyboards and nowadays, there are many affordable budget models available as well. Just make sure that you get the right type of mechanical switches for your needs. 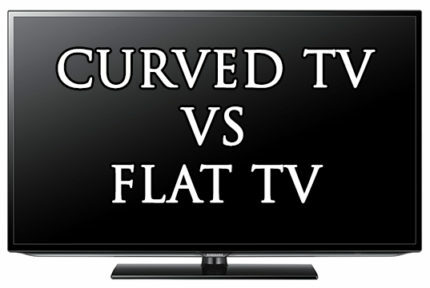 Curved vs Flat TV - Which Should You Choose?